This is my fifth annual screenshot review, recording my changing aesthetics and moods. Early in the year, I moved back to Gnome (with Openbox, of course) on my laptop (Savitar, a Thinkpad X41), and in November began using MATE on my desktop (Loka). Early in the year, for a few months I also returned to Pekwm, a wonderful little window manager I hadn’t used much in the previous year. I also played with Awesome for a short while, but that window manager, however much I like it, remains more of a distracting novelty for me than an productive work environment. As you can see below, I’ve mainly used dark themes this year (and particularly the Erthe themes), and have changed my setup a lot less often than I did when I started posting these annual overviews. Both Savitar and Loka still run Debian Testing (Wheezy), though Savitar’s is far from up to date (as should be obvious from the Gnome 2 screenshots below). All my Openbox and Gtk themes (including those that I merely modified) can now be found on github. 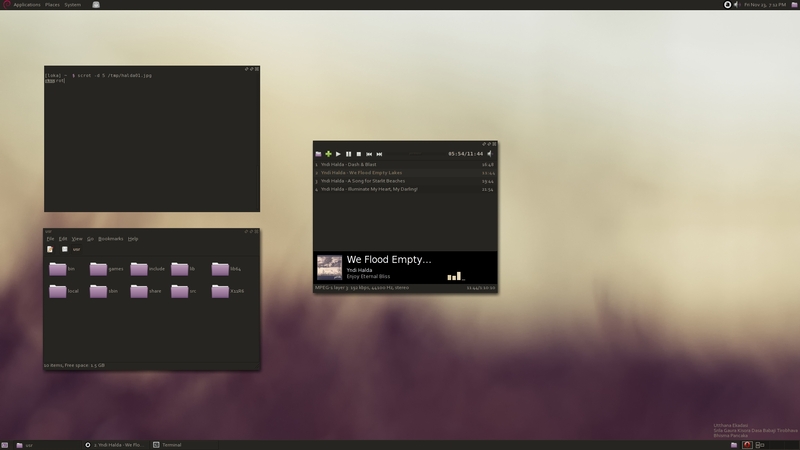 Gnome 2, with Openbox, using the Erthe themes, and the AnyColorYouLike icons. 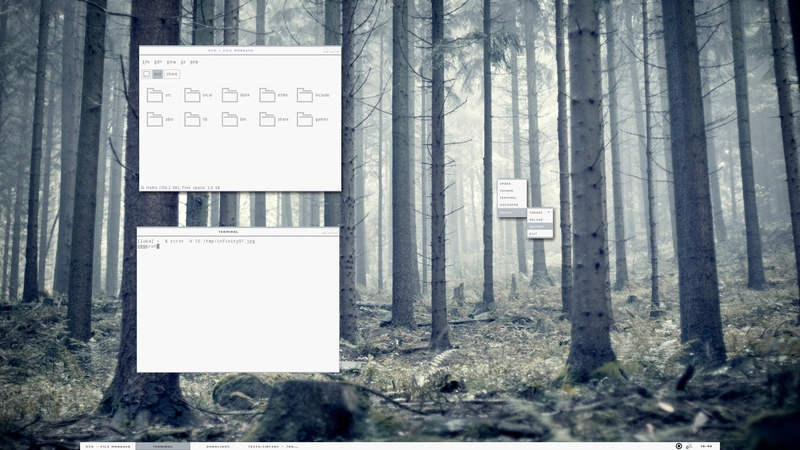 Openbox 3.5, with the Dandelion Openbox and Gtk theme, and the nuoveXT-1.7 icons. 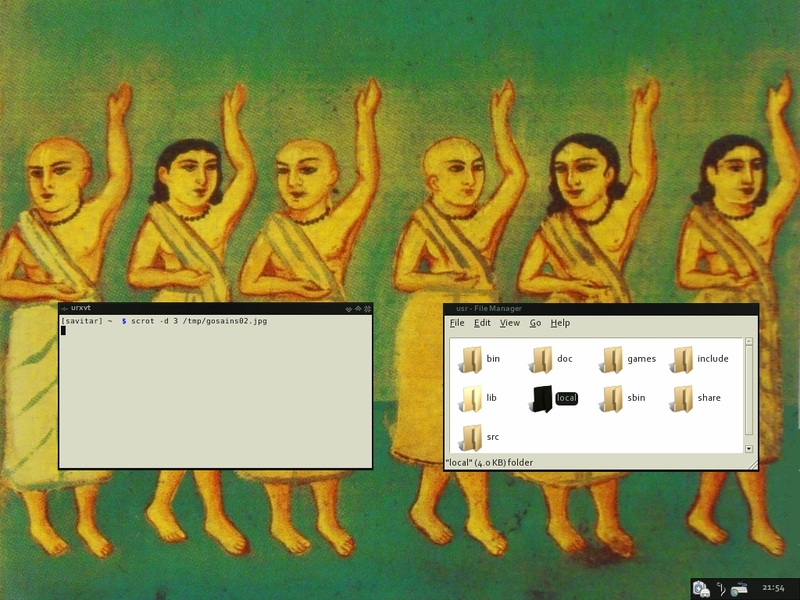 The desktop background is a painting of the Six Gosvamis of Vrindavan. 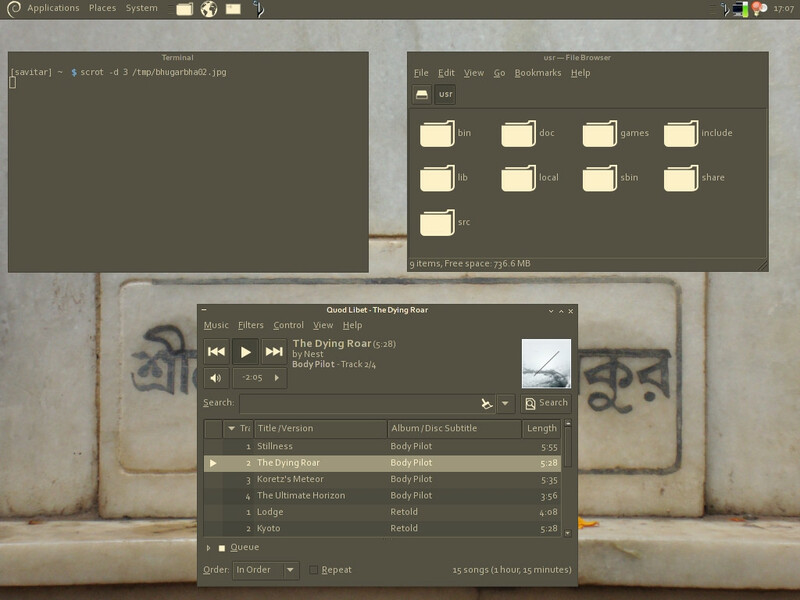 Gnome 2, with Openbox, using the Erthe themes, and the AnyColorYouLike icons. The desktop background I found here. 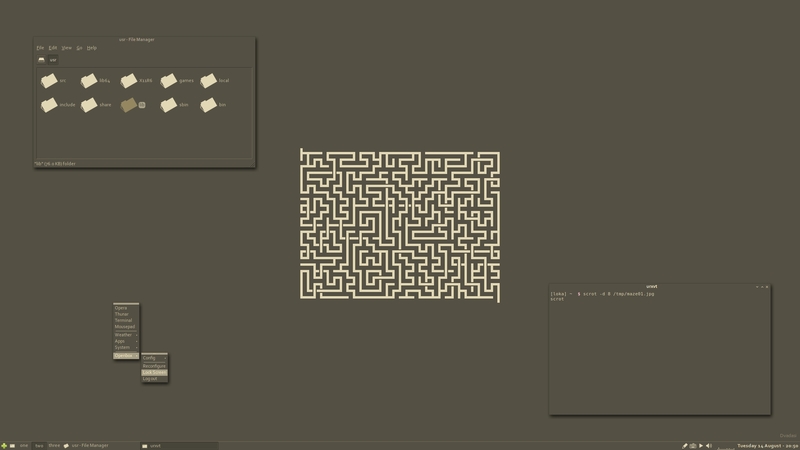 Pekwm, with the Infinity Pekwm and Gtk theme, and the moblin icons. Pekwm with the Royalty themes, and the AnyColorYouLike icons. Openbox 3.5, with modified royalty themes and Somatic icons. The dock holds bbdock, bbpager, lal, and docker. 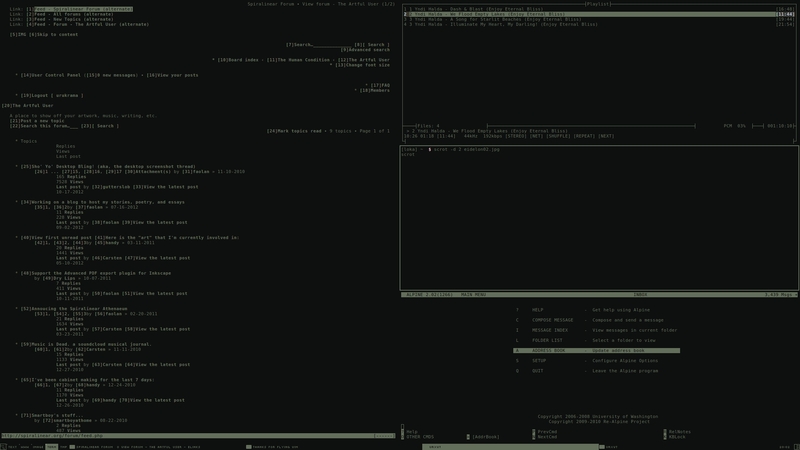 Openbox 3.5 and XFCE 4.8, with the Erthe themes, and AnyColorYouLike icons. 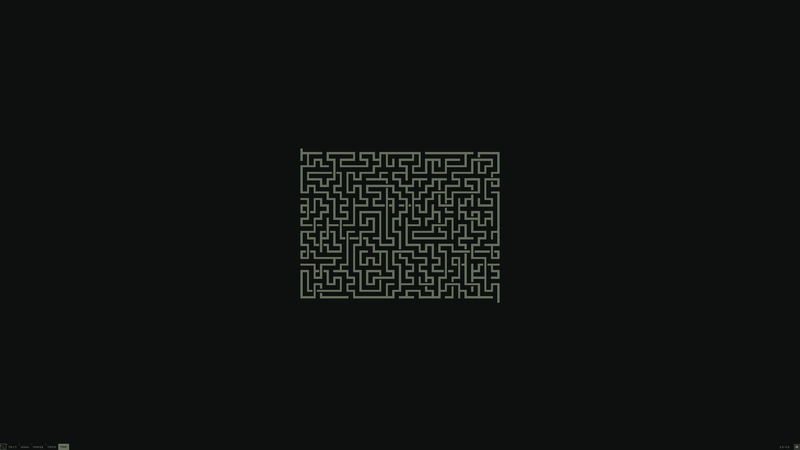 Awesome 3.4.13, with the Eidolon themes. 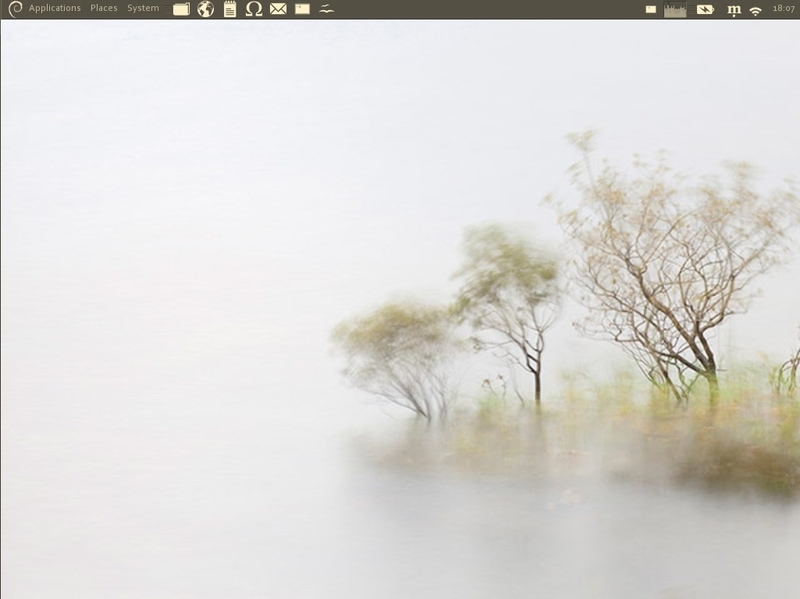 MATE 1.4.2 with Openbox 3.5, using modified Laza themes and the Gnome-Noble icons. Lovely screenshots, as usual. 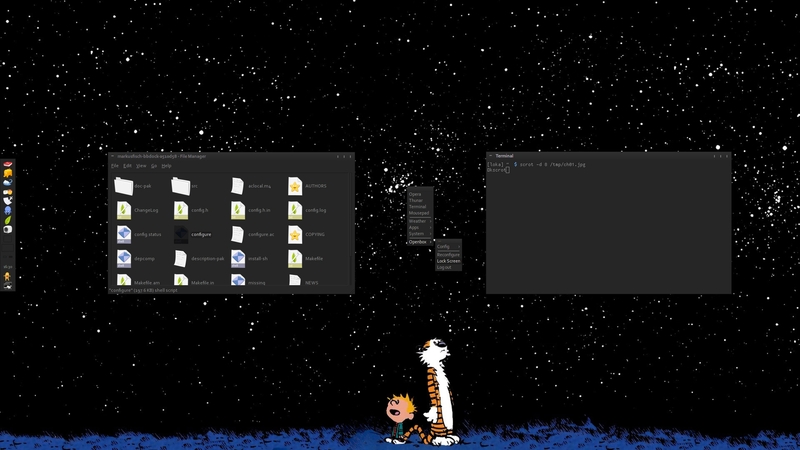 You are the absolute guru of minimalist Linux-setups. On a side-note, your Alghattas theme is a masterpiece. I’ve been using it on my laptop (running CrunchBang Linux Waldorf/Testing) for several months now… I won’t be changing it because I can’t find anything else that I like nearly as much! 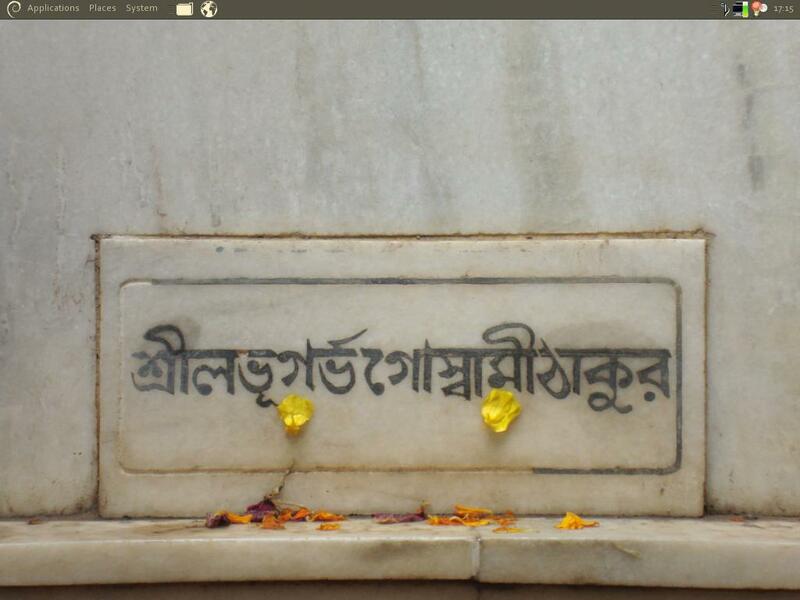 I am using ArchBang, running Openbox with tint2. 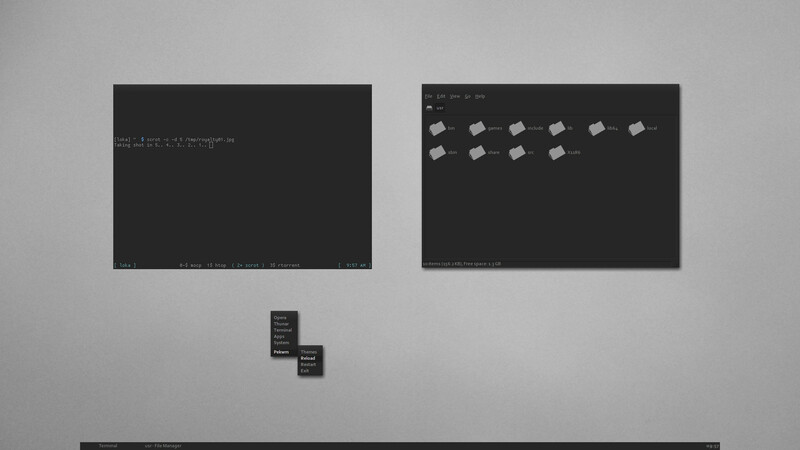 I have never tried to combine window manager with desktop environment. I am curious what they make difference?